Pantech hasn't been going after the bigger manufacturers in the "superphone" category, at least outside of its home turf of South Korea. Until today, that is - at its CES press conference, AT&T announced the Pantech Discover, a flagship-class device that meets and in some cases beats the best that Samsung, HTC and Motorola have to offer. In addition to somewhat typical high-end specs like a 4.8-inch 720p screen, 1.5Ghz dual-core processor and 16GB of on-board memory, the Discover boasts a best-in-class camera (at least on paper) of 12.6 megapixels. And that's not even the most surprising statistic: the Discover will retail for just $49.99 on-contract. 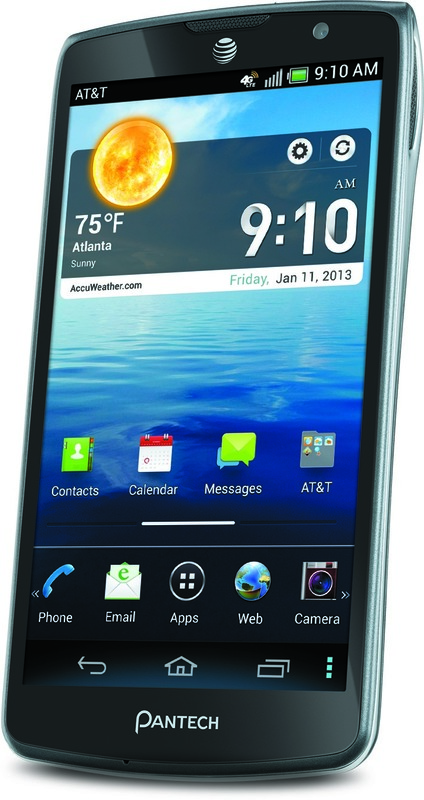 Other supermodel specs include 4G LTE, dual 3D "surround" speakers, NFC, a hearty 2100mAh battery, and Ice Cream Sandwich. In addition to the various "Easy Experience" customizations in Pantech's Android skin, you'll also get the Swifkey keyboard and AT&T's DriveMode app, which can automatically send callers to voicemail or reply with a canned text when you're traveling faster than 25mph. (This can be disabled if you're a passenger.) The only real downsides appear to be an outdated version of Android and a lack of MicroSD card slot. 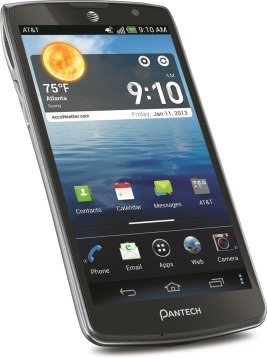 The Discover sends a message from Pantech: they're finally stepping up their game in North America. And with an introductory price of fifty bones, they're sure to win a few customers who might otherwise go for the Galaxy S III or One X on AT&T. 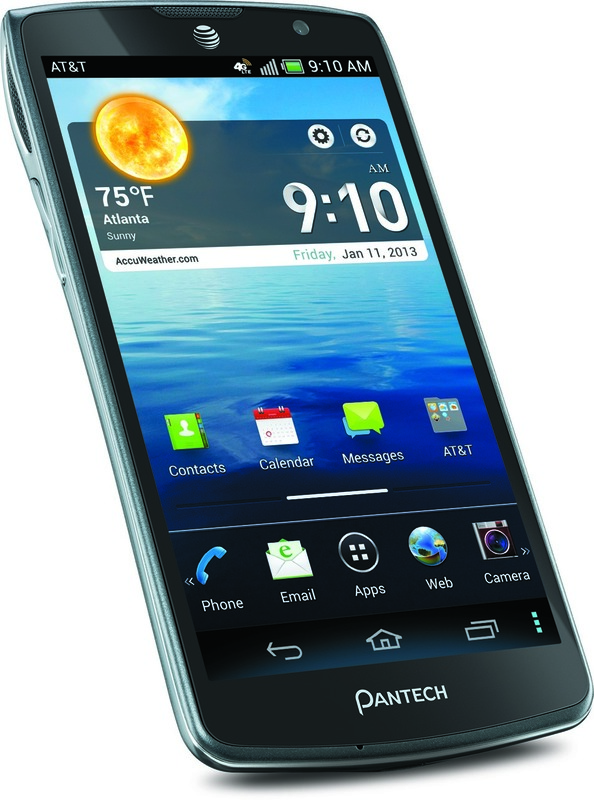 The Pantech Discover will be available online and in retail stores starting this Friday, January 11th. There's currently no word of the off-contract price. 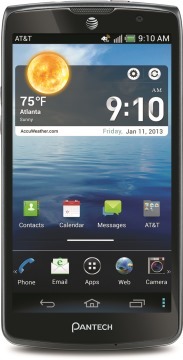 Kicking off 2013 with one of Pantech’s most impressive Android smartphones to date, AT&T* announces the Pantech Discover™, available for $49.99** with a two-year agreement, in all AT&T channels beginning Jan. 11. 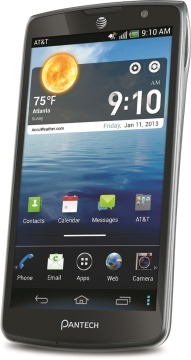 Pantech Discover will be the first AT&T smartphone pre-loaded with the AT&T DriveMode® application, an app designed to help prevent texting while driving. A 4G LTE smartphone, the sleek Discover boasts a large 4.8-inch HD display (1280 x 720) and an impressive 12.6-megapixel camera with 4X zoom, as well as the ability to record and playback video in HD 1080p (1920 x 1080) at 30 frames per second. The Discover’s dual 3D surround sound speakers provide a rich audio experience, ideal for listening to music and watching movies, while the built-in near field communication (NFC) technology allows users to share content, read smart tags, or pay for goods and services right from their phone. Packed with high tech features for an affordable price, the Discover provides tremendous value, fast data speeds, and high performance to entertainment seekers and business professionals alike. 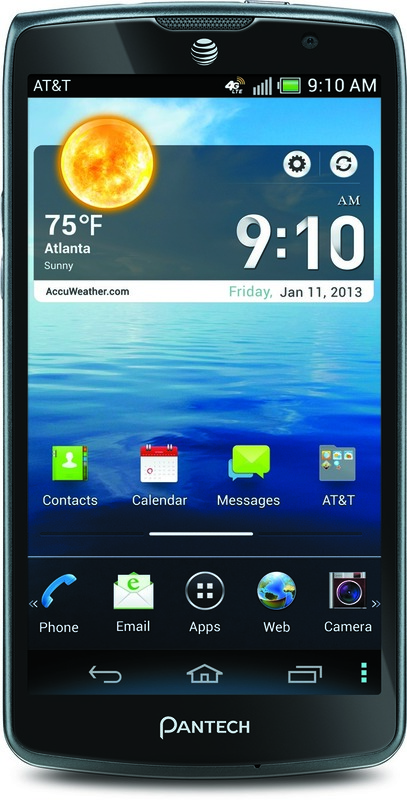 First announced for AT&T on the Pantech Flex in September 2012, Pantech’s exclusive Easy Experience and Standard Experience modes, are also available on the Discover. The Easy Experience mode prioritizes customers’ apps on the home screen in a clearly organized and easy-to-read format. Customers can easily switch between Easy Experience and the Standard Experience, a classic Android format available for users who prefer to access Discover’s wide range of features – social media, video, email – in a highly customizable interface. In addition, the Discover is a great option for business users as it comes with full VPN and EAS support, plus device encryption for secure access to corporate email and intranets. Its 1.5 GHz dual-core processor, 16 GB on-board memory plus SwiftKey app allow for maximum efficiency, while its 2,100 mAh battery makes it easier to be productive all day.